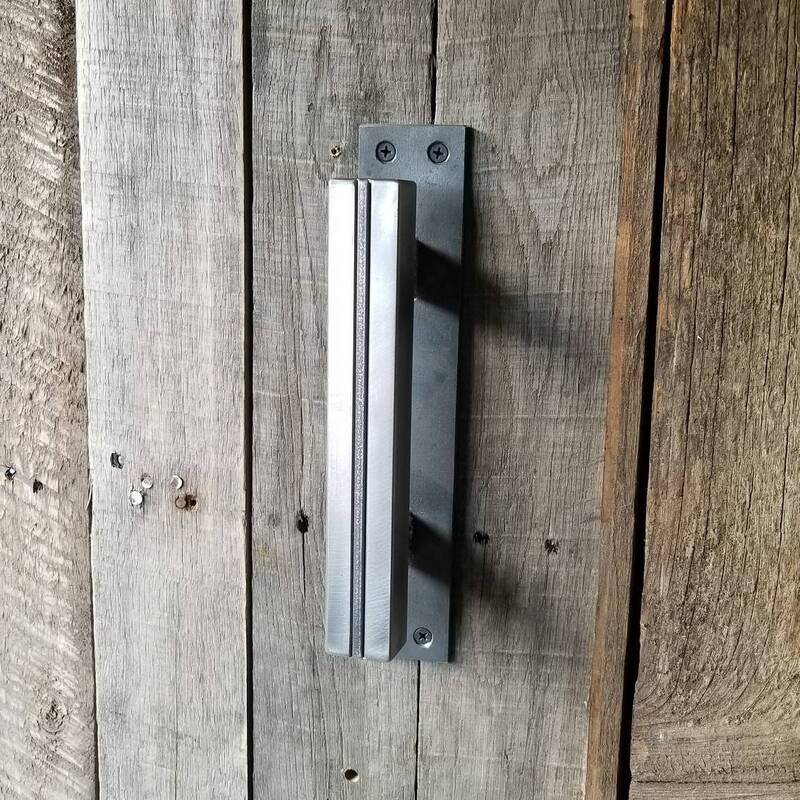 Industrial style barn door handle - measures 1-3/16" wide, 1" thick door/cabinet pull, available in multiple sizes - pictured is a 10" handle in raw steel finish. 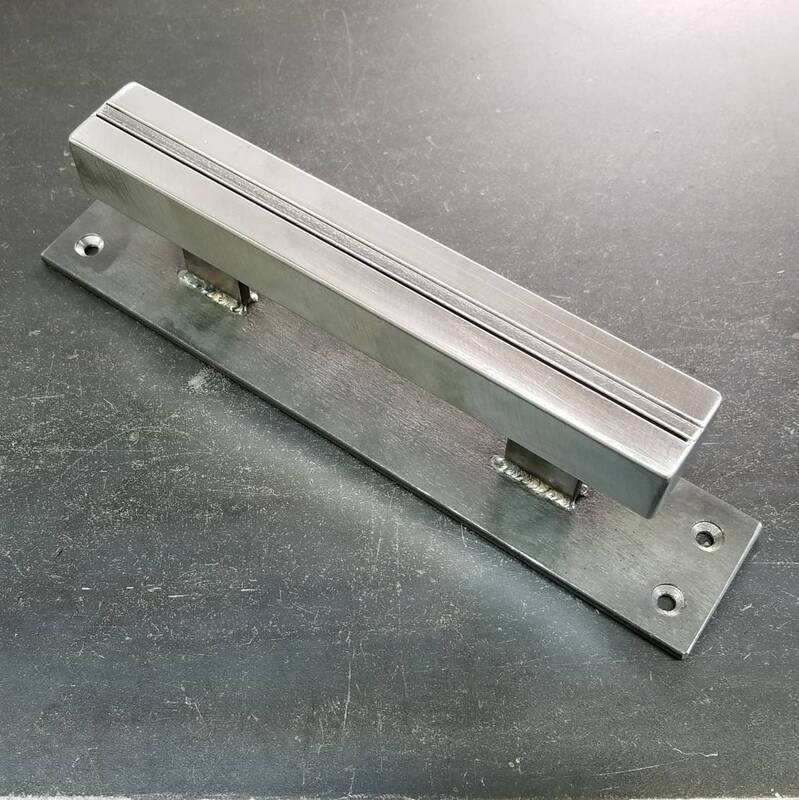 Handle comes with 1-1/2" back spacing standard. 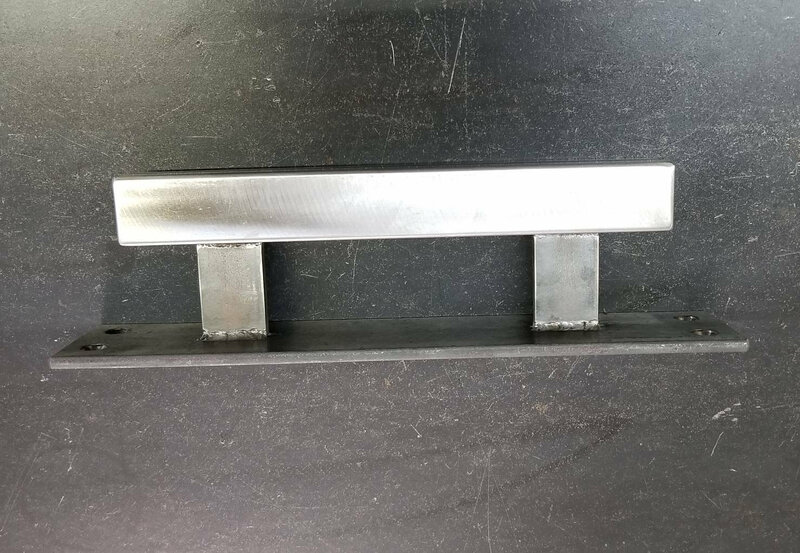 Base is 2" wide x 3/16" thick hot-rolled flat stock. 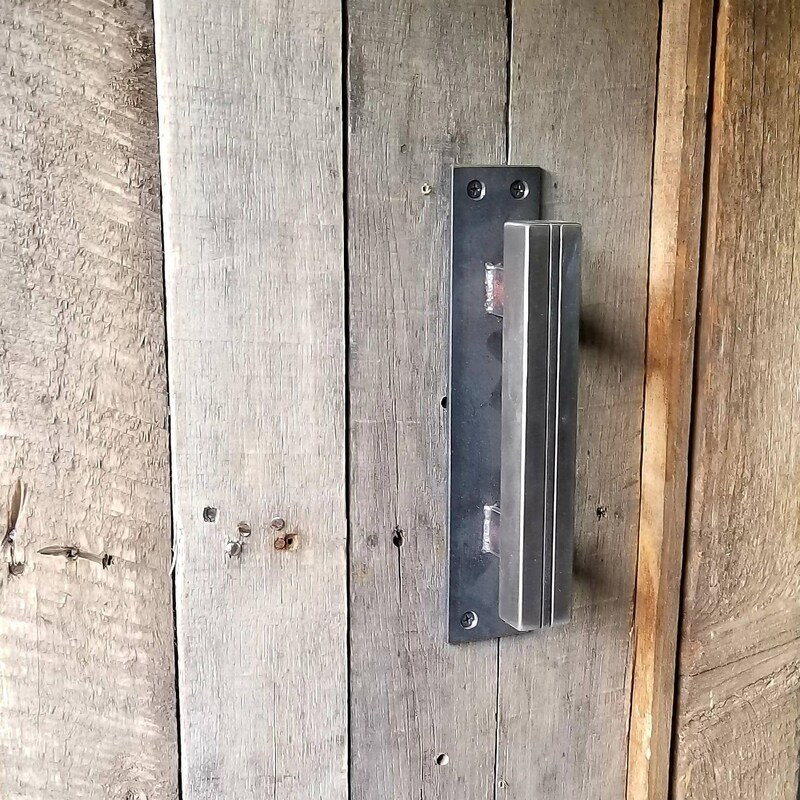 Note: handle lengths are 2" shorter then backing plate measurements. You are ordering by the size of the back plate, so, if you want 8" of handle, you would order the 10" version. Screw holes are countersunk so screw heads sit flush. Drilled for #8 screws. These are suitable for exterior or commercial use with appropriate coating. 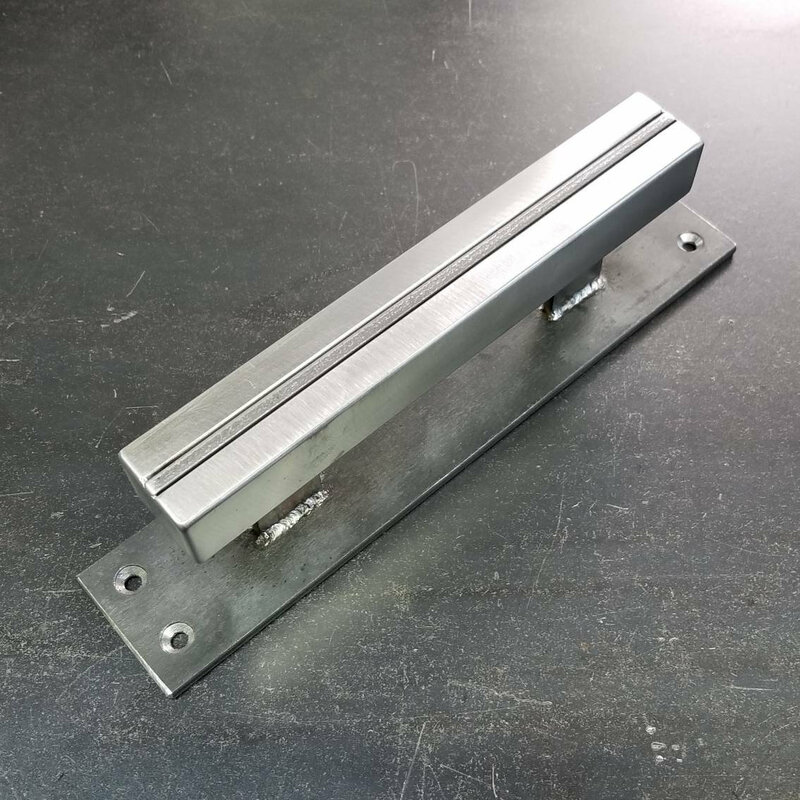 For regular or sliding/rolling doors. Available raw or painted - inquire for other finish options. Will happily do custom versions - if you've got something in mind hit me up, I'm sure we can design you something perfect.